Limited quantities of Lagochilus inebrians available. Lagochilus inebrians (Turkistan Mint, Inebriating Mint) There are over 30 species of Lagochilus. Members of the mint family Labiatae, native from central Asia to Iran and Afghanistan. 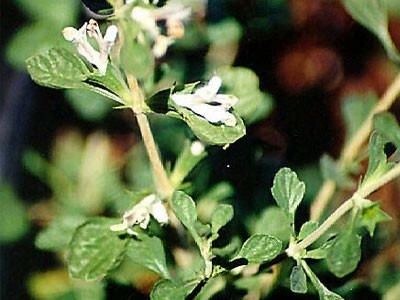 Lagochilus inebrians (Inebriating Mint) has long been used for its intoxicating and sedative properties by Tajik, Tartar, Turkoman, and Uzbek tribesman and ancient Central Asian tribes used it during mysteries, feasts and holidays. Traditionally consumed as a tea. Lagochilus inebrians is a narrow endemic species of the Uzbekistan flora and there are only a few places where it grows. It is rare and little know even within its small native region. As a result of its scarcity and also because of strict state control, it is virtually never seen in the outside world. We believe this is the only source of true Lagochilus inebrians available today. Despite the name "inebrians," it seems that it Lagochilus inebriens is more of a sedative than an inebriant. Lagochilus inebrians has hypotensive properties (i.e. it lowers blood pressure). This makes it useful for various medical conditions and procedures, but it also means that it could be dangerous for people with hypotension.